I have a lovely friend called Pat, who is a great cook, so when she tells me I should try a recipe, I try it, and so far I have loved every recipe she has recommended, like the Beetroot and Feta with Herb and Pistachio Dressing and the Braised Chicken Marylands with Wine and Tomatoes just to name a few. What I love also is after Pat gave me the recipe, I actually found a clipping I had kept myself of it as a recipe to try. Our daughters make us laugh as they now want to cook for us, they have become little foodies, and they want to prepare a 3 course meal where we are the guests. So will keep you posted if our girls can cook. Anyway this Blueberry Crostata is delicious. It OMG every bite is amazing and just delicious. The pastry I used is the one pictured below. It is my first time trying this vanilla bean sweet shortcrust pastry, but I will definitely use it again. It was divine, the pastry honestly tastes like you made it yourself. And by using the store bought one, this dessert was so quick and easy to put together. And no, I don't get paid to say this. This is a truly delicious store bought pastry, and great to have on hand to make this quick, delicious dessert. Feel free though to make your own sweet shortcrust pastry, if you prefer. 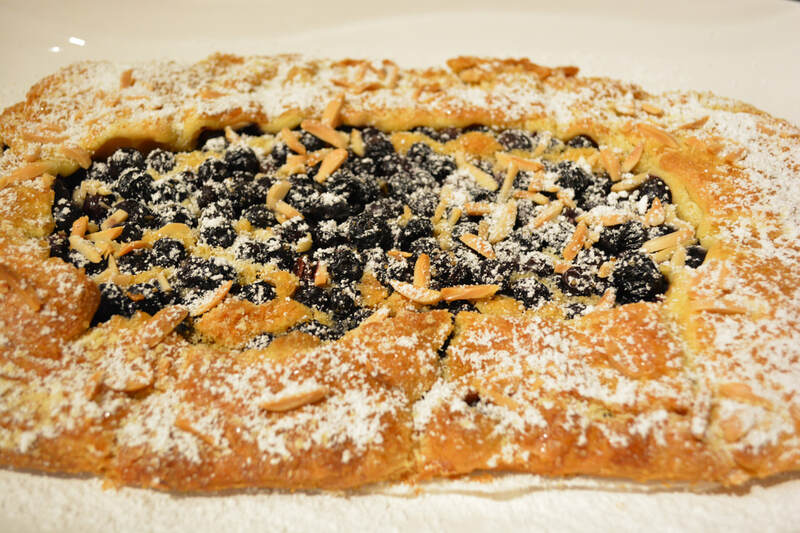 It makes one large crostata, great if you are having people over, one for its simplicity, two because it feeds a lot of people and three it is delicious. I served it with a scoop of vanilla bean ice cream and it was just so good. 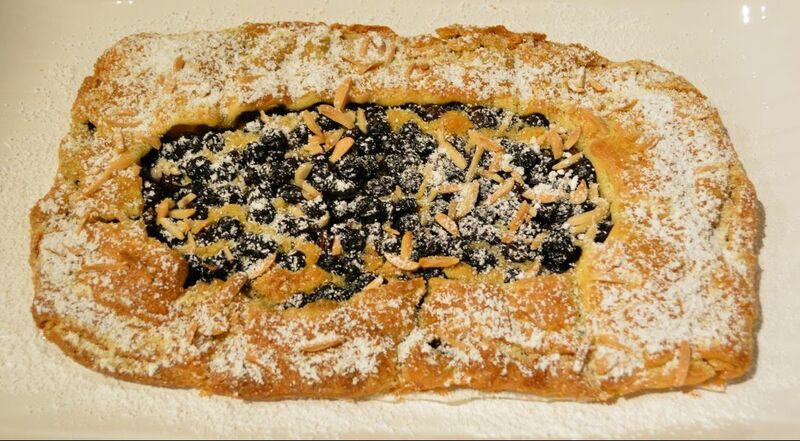 I highly recommend you make this recipe, and if you have never tried this pastry, try it, it so good. But remember you can make your own sweet shortcrust pastry if you like. Line a large oven tray (approx. 40cm x 30cm) with baking paper. Make the filling: Place the butter, sugar and lemon rind in a large bowl. Beat with a wooden spoon until creamy. Add the egg yolks, beating until well combined. Stir in the almond meal and flour. 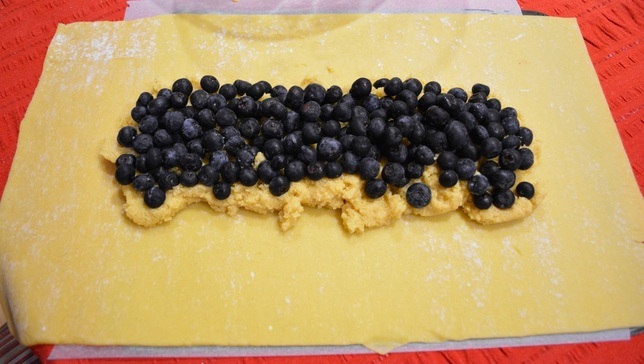 Unroll the pastry onto the baking paper. Spread the almond mixture along the centre of the pastry, leaving an 8cm border. Scatter the blueberries over the almond mixture. Fold each edge of the pastry to make a 2cm border. 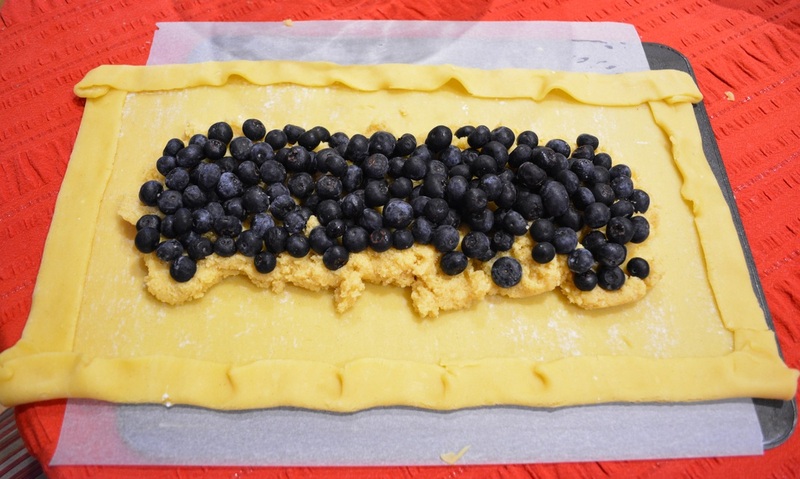 Now lift the sides of the pastry up so it half covers the fruit, pleat it to make a decorative border. Do what is natural here, it is supposed to be rustic. Brush the pastry with some of the lightly beaten egg white, then sprinkle with the extra sugar and scatter over the flaked almonds. Place in the refrigerator for 1 hour or freeze for 20 minutes. Preheat your oven to 190C (170C fan forced). 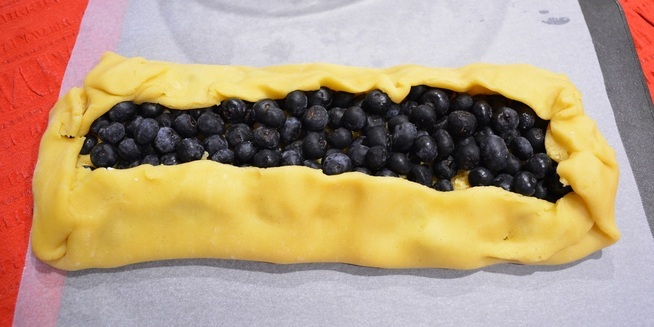 Bake the crostata for 40-50 minutes or until browned (you want the pastry cooked properly). Cool on tray. ​Dust with icing sugar and serve with some vanilla ice cream, if desired.